I was with my 7 year old boy on a short photography trip. He really wanted to experience what a photography trip was like so I brought him here as I knew that he would be overwhelmed by the view. 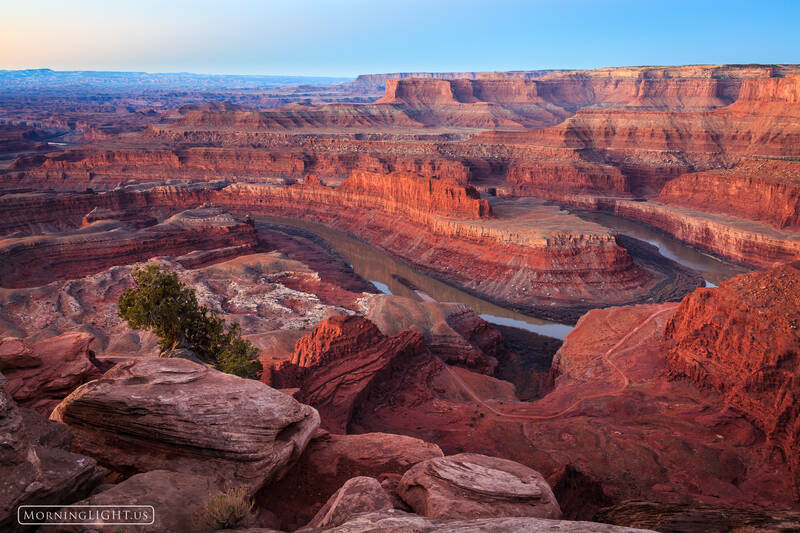 I feel that the view of the Colorado River from Deadhorse Point is in many ways much more dramatic than even the mighty Grand Canyon. On this morning there were no clouds and so the best light was this gentle glow that took place about 20 minutes before the sun rose. Photo © copyright by Erik Stensland.